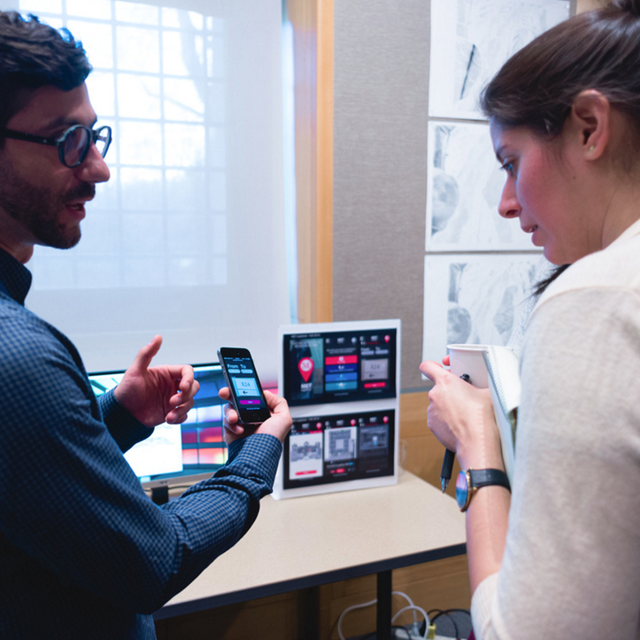 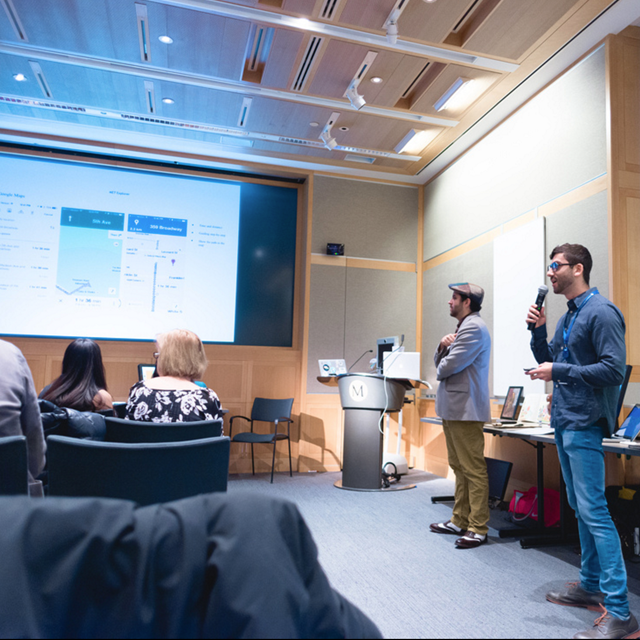 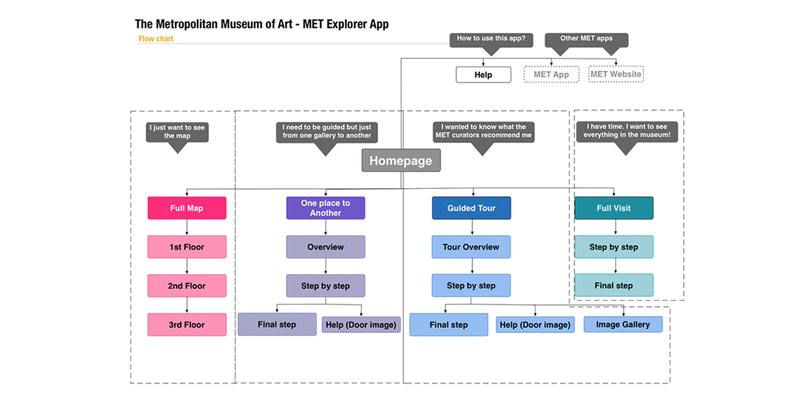 As fellow at the Metropolitan Museum Media Lab, I was very interested in projects that could enhance the museum experience for visitors. 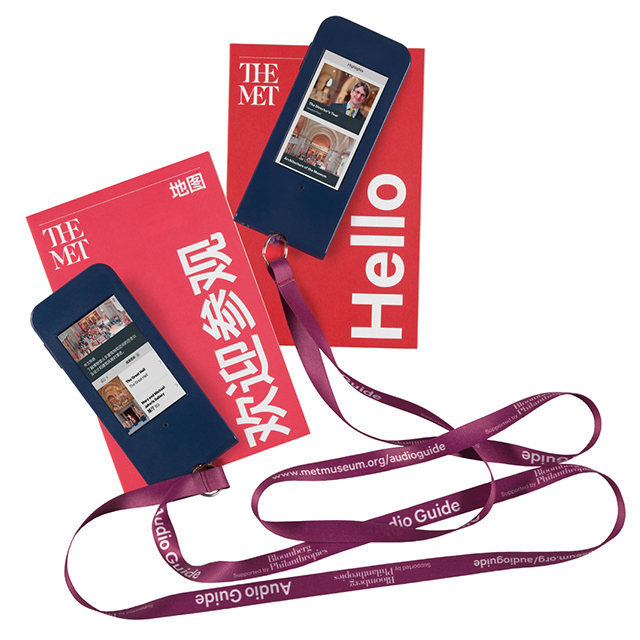 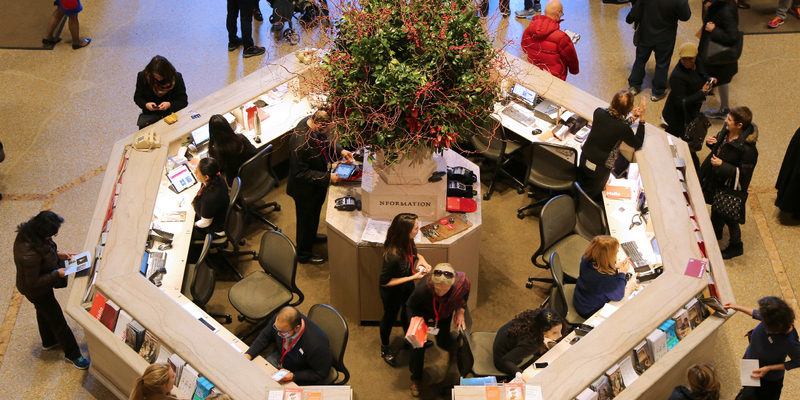 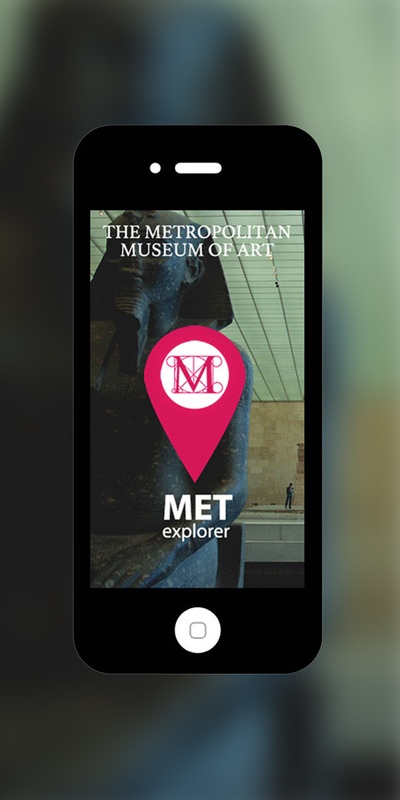 MET is one of the most visited museums in the world and spans a huge space where even staff with years of experience sometimes feel lost. 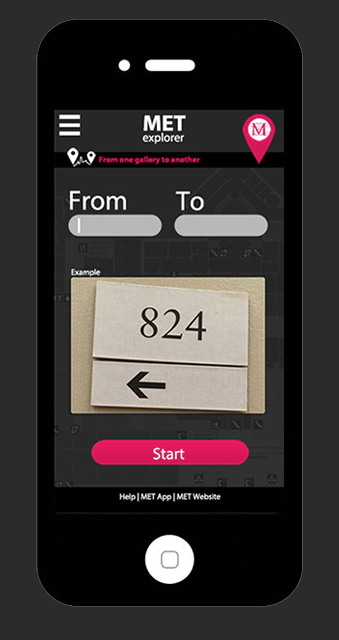 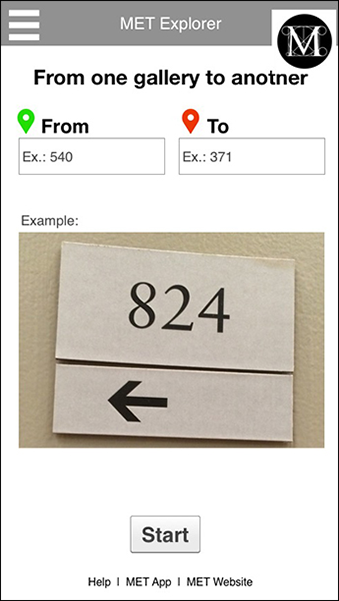 The goal of this project was to prototype a wayfinding app that would show visitors the fastest route from one gallery to another, avoiding stairs or crowds if required. 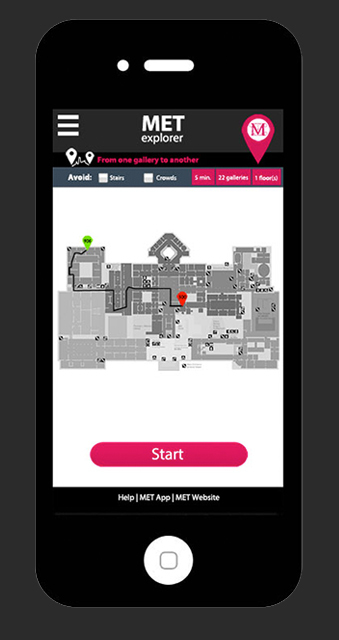 The idea was to not just build a map, but a mobile application that would guide the visitor to their destination step-by-step. 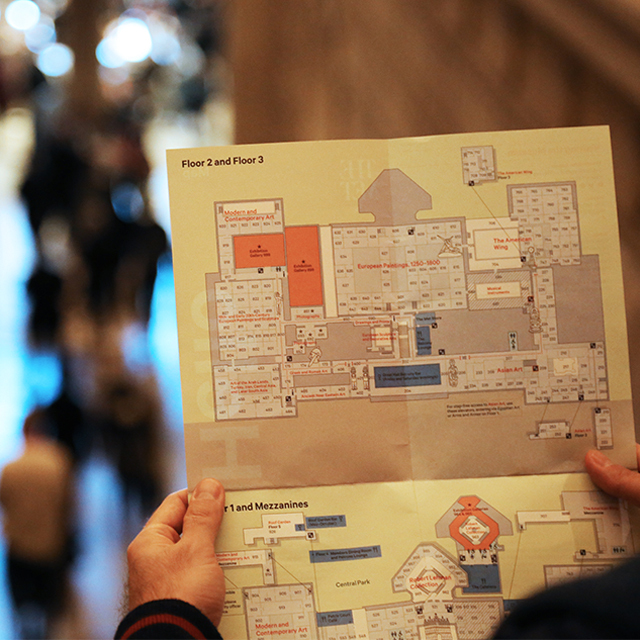 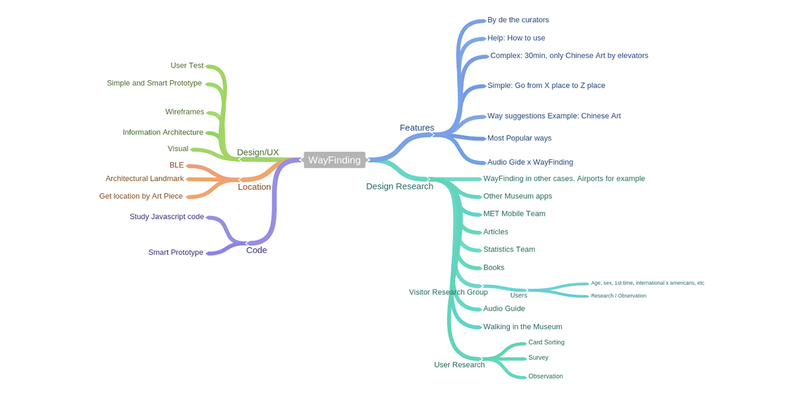 How do we introduce the idea of wandering into wayfinding? 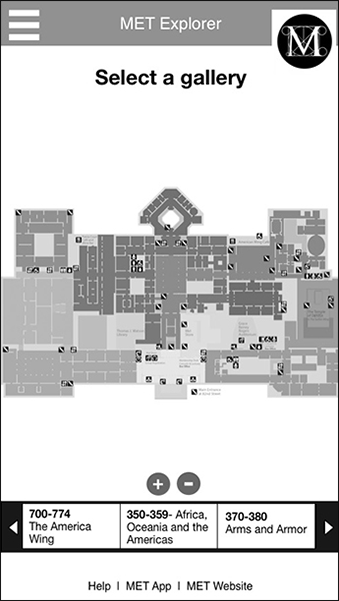 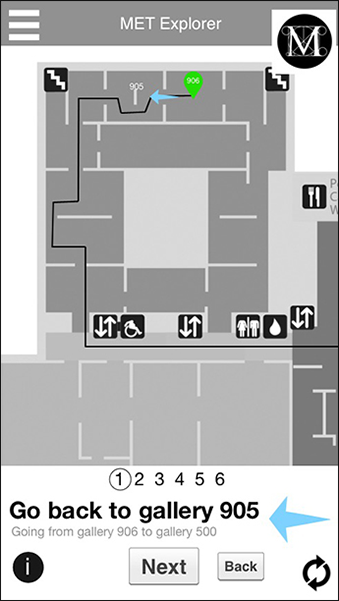 Given two points in the Museum, what's the shortest path that avoids stairs and/or low-lit rooms? 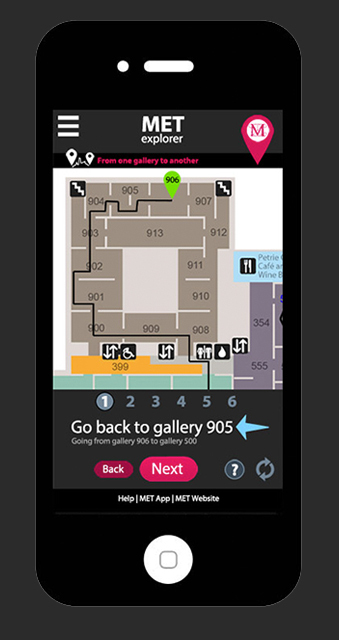 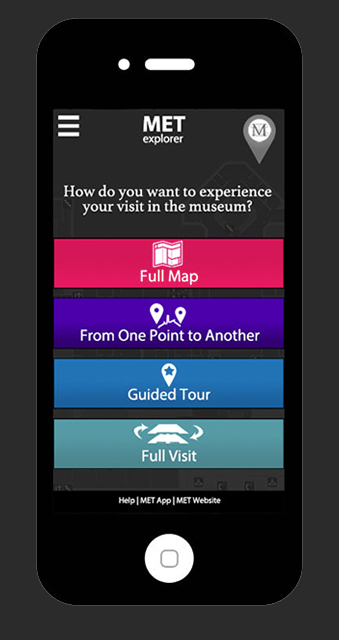 What if the user has thirty minutes and would like to be guided by a curator, taking the quickest route through the most popular galleries?